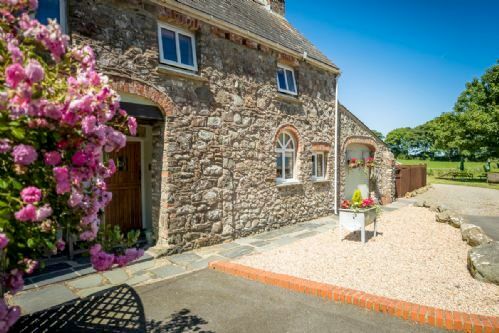 A heated indoor swimming pool and funky Scandinavian-style BBQ cabin are just two of the reasons families are going to love Hendre House Cottages. 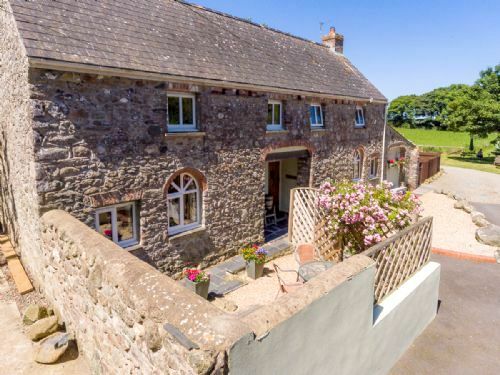 They’re also in a prime location for discovering the delights of Pembrokeshire all year round and have all the essentials for stress free stays with a baby or toddler. 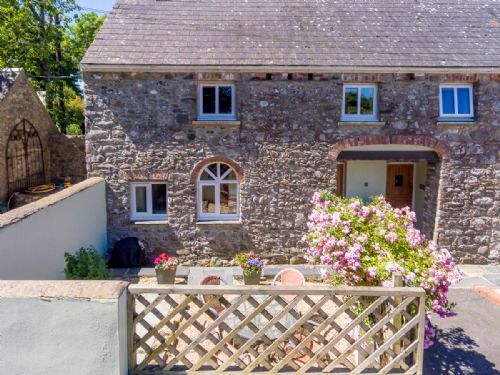 The history of Hendre House goes all the way back to 16th century but the stone outbuildings that have been converted into cottages are probably only around 300 years old! 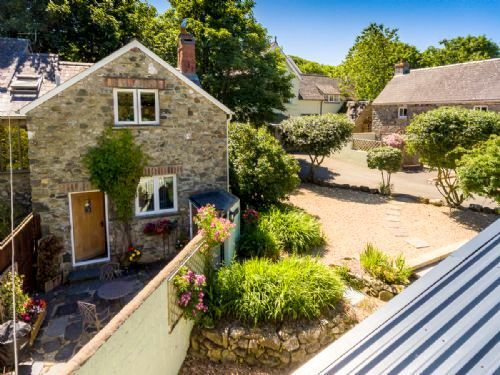 When Andy and Michelle made Hendre House their home, with their two daughters and black lab Jess, they lovingly set about transforming the coach house, dairy and old chapel into the 4-star cottages they are today but they didn’t stop there. To give families that holiday feeling, come rain or shine, they added a 30ft x 15ft x 4ft heated swimming pool, housed in an entirely glass-sided pool house, with seating at the side and loungers on an outside sun terrace. Similarly, BBQ-ing can be a year-round treat in their purpose built log cabin, with a monster piece of cooking kit in the centre and cosy furs on the seats around the sides. The cabin is big enough for up to 15 people but a booking sheet is also provided so families staying at the three cottages can plan timeslots between themselves. Children can play outside on a lawn area, with swings and a balance frame, quoits and giant Jenga, plus a garden shed isn’t a boring store for gardening gear but full of toys, games, books and DVD’s. 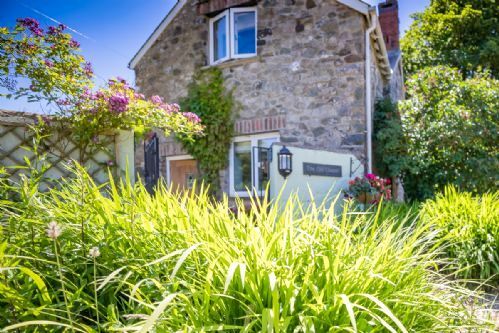 Andy and Michelle have designed their stone cottages in a cosy, contemporary style, with relaxing, natural colour schemes and traditional finishing touches. 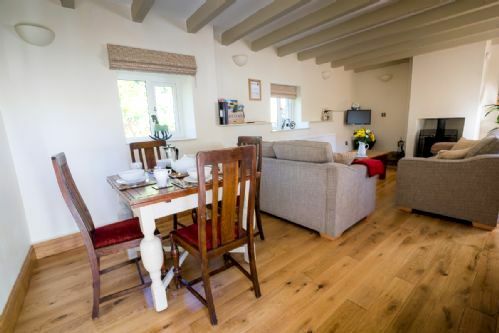 The lounges have comfy sofas, wood burning stoves, Freeview TV and DVD players, while the kitchens have smart tiling, essential appliances and baby-friendly accessories including hand blender and bottle warmer. The master bedrooms have romantic bedsteads, children can make a den in sturdy cabin bunks and all the bedrooms have space for a cot. 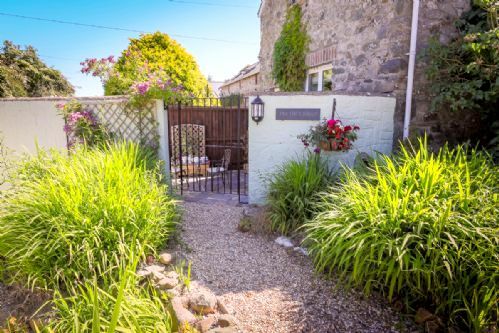 Besides the shared garden all of the cottages also have their own enclosed outdoor area, whether it be the lawned garden in Winterton Cottage or the patios at Herne Cottage and The Old Chapel. Hendre House Cottages comprises 2-bedroom Winterton and Herne Cottages and the 1-bedroom Old Chapel. All of the bedrooms have space for a cot and two travel cots are available. Up to 2 dogs are also welcome per cottage. 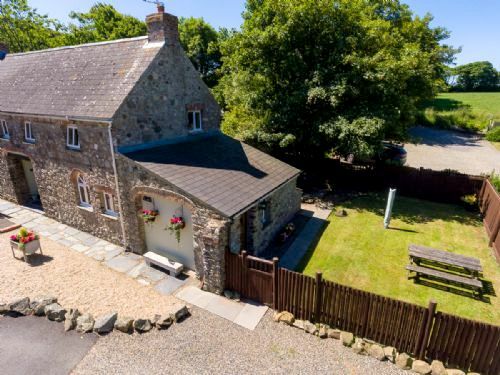 The fully glazed pool house is next to the cottages and all guests have use of the BBQ cabin and a lawn garden with a play area and toy shed. The Old Chapel (2 + babies) is a traditional stone cottage, with a private courtyard garden and patio table for eating outdoors. The cottage has an upside down layout, having the open plan living area and kitchen on the first floor, with polished wood floor, pitched beamed ceiling and roof lights, making it especially light and airy. The lounge features a comfy corner sofa, a log burner, Freeview TV and a DVD player while the modern kitchen is fully equipped with essential utensils, crockery and appliances, including a fridge freezer, oven and ceramic hob, microwave, dishwasher, a washer/dryer and a dining table that seats up to 4. A hand blender, bottle warmer, high chairs and Bumbo seat are among the helpful accessories provided for babies and toddlers. On the ground floor, the master bedroom has a romantic white timber double bed and the gleaming panelled bathroom has a bath with a shower, a washbasin and WC. Free WiFi is available throughout the cottage. 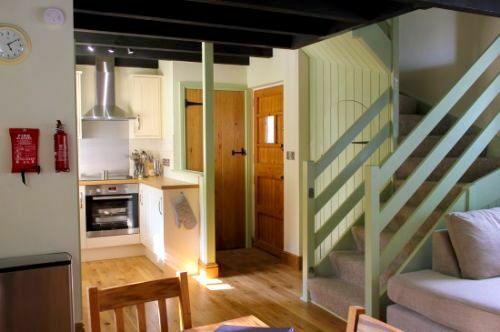 Sleeps 2 + infant in 1 x double bedroom. Cardiff Airport is just over 2hrs away. Nearest beach is Newgale just 3 miles away, and is a long sandy beach. Indoor heated swimming pool, accessible via key provided in each cottage. Pool room locked when not in use. Terrace area with sun loungers. Travel cots x 2, Highchairs x 2, stairgates at top and bottom of all stairs, bed guards, plastic cutlery, plastic crockery, plastic cups, potty, baby monitor, baby bath seat, baby bath thermometer, bottle warmer, bath toys, Bumbo seat, sippy cups, changing mat and handheld blender. Games shed with toys, board games, children's DVD's and books. Play area with swings and climbing frame, outdoor Jenga and quoits. Enclosed terrace with outside seating. Large communal all weather BBQ cabin in the grounds. Up to two dogs are accepted. St Davids City Golf Club is 6 miles drive away. Communal hot tub next to the swimming pool.